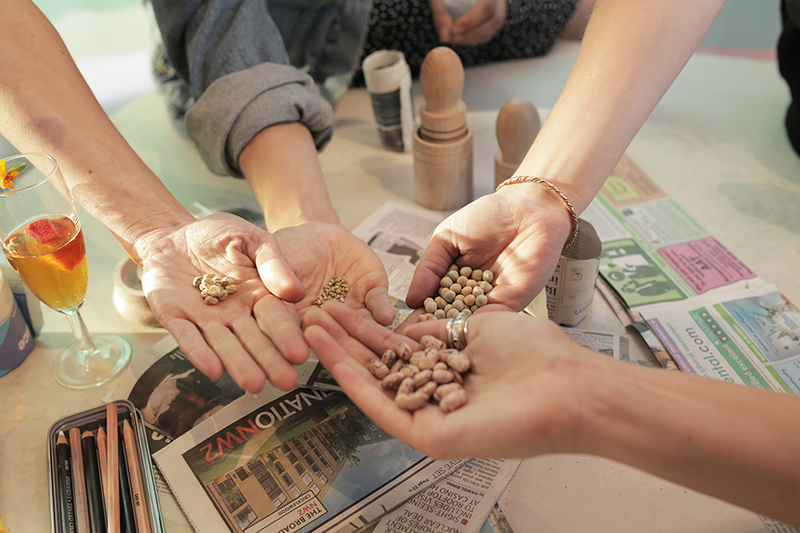 Urban Growth planting workshop will take place from 10 to 4pm to show people how to make a newspaper flower pot, get some earth and plant a seed, encouraging all to make their own urban gardens. NOW Gallery’s Art Commission Laura Aldridge and James Rigler create an urban idyll, a sensory space where you hear water flowing from their ceramic fountain and have a chance to dig your hands in soil to plant a seed. Take time to enjoy the colour combinations of the bright fabric which flutters from pink arches and patterned planters grow nasturtiums, cucumelons and other invasive floras which will wind round the artwork. exhibition is be rural retreat, a place for contemplation away from the hustle and bustle of the capital. Come and take part, plant a seed and see how the the garden grows. 30-minute slots from 10am to 4pm daily, for the duration of the installation.